Each year, people with a Part D prescription drug plan or a Medicare Advantage plan get a chance to review the pending changes to their plans for the coming year. If their current plans turn out to be less than ideal, people can choose to move into new plans. Unfortunately, few Medicare beneficiaries even look at how their plans will change and even fewer actually switch plans for their benefit. In fact, according to a study by the Kaiser Family Foundation, only 13% of enrollees voluntarily switch plans during Open Enrollment. For those 80%+ of people who did not actively review their Medicare coverage this year, here are two lessons we learned that might help you prepare for what's ahead in 2017. LESSON ONE: Get ready for increasing out-of-pocket drug costs. During 2016, many people saw increases, some often dramatic, in the total costs of their prescription medications – both brand and generics alike. 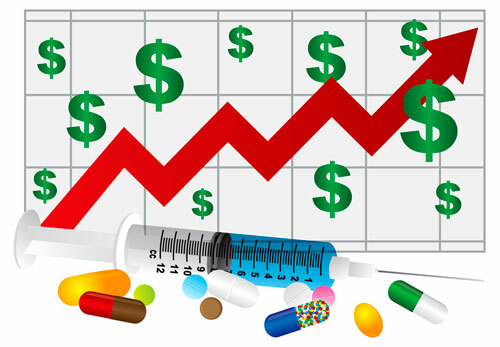 In fact, a few of our clients saw drug price increases of 500% or more in less than one year. While increases like these are extreme, experts do expect drug prices to climb about 12% in the coming year. What does this mean to you? If you are on a drug plan that uses coinsurances, such as 10% or 30%, rather than flat co-pays of $5 or $20, every time one of your medications increases in cost, your out-of-pocket cost will also increase. "We tried very hard this year to bring to light exactly when and where drug plans utilized coinsurances rather than copays in their formularies," said 65 Incorporated's founder and Medicare expert, Diane J. Omdahl, RN, MS. "If we could switch our clients into plans that used copays rather than coinsurnces in 2017, our clients will be insulated from sharing the burden of rising drug costs." LESSON TWO: Switching plans next year can save you thousands — even hundreds of thousands of dollars! Experts say that for each year a person does not review their Part D drug plans, they're essentially overpaying by $368. So, if a person hasn't reviewed their coverage in five years, it's safe to assume that they're paying more than $1,000 too much for their Medicare drug coverage. However, this year, one of our clients found HUGE savings by comparing plans during Open Enrollment — $236,000 of savings in fact! Yes... one of our clients saved $236,000 by switching drug plans for 2017. If you didn't review your coverage options for 2016 and find that one or more of your medications or providers is no longer covered in 2017, unfortunately you have few options other than filing for a formulary exception or paying the increased drug costs out-of-pocket. Either way, don't make the same mistake next year. Be sure you monitor your out-of-pocket costs throughout the year and actually review your coverage options next October.